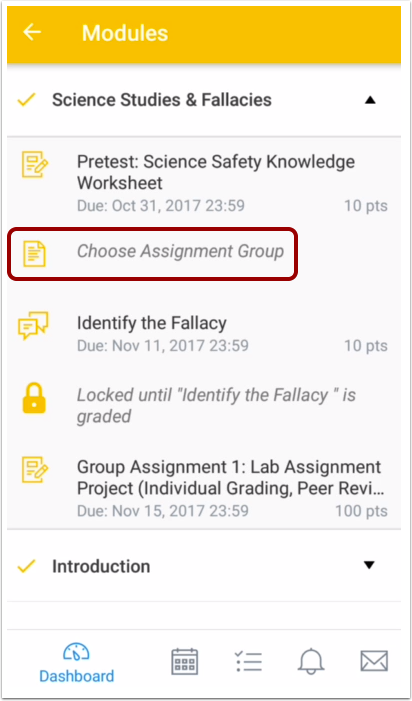 How do I choose an assignment group in a module in the Student app on my Android device? 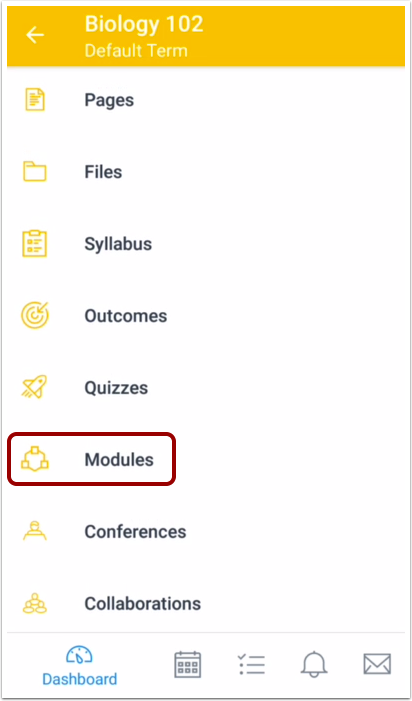 If your Modules page asks you to choose an assignment group, you need to choose which assignment(s) you want to select before you can progress to the next assignment. Locate the current module and click the Choose Assignment Group link. Note: Once you select an assignment, you cannot select a different assignment. 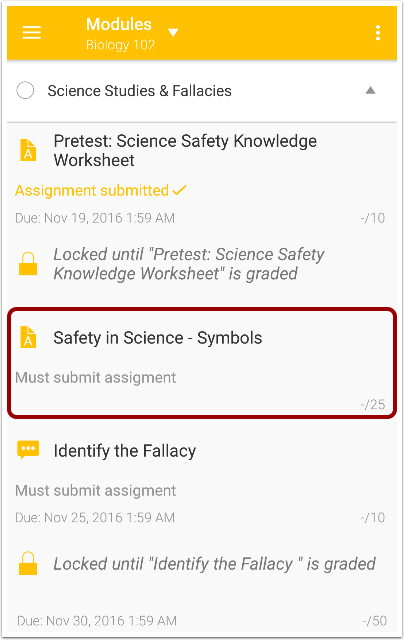 Note: If the link generates an error message, you can access the assignment by returning to the Modules link in Course Navigation. 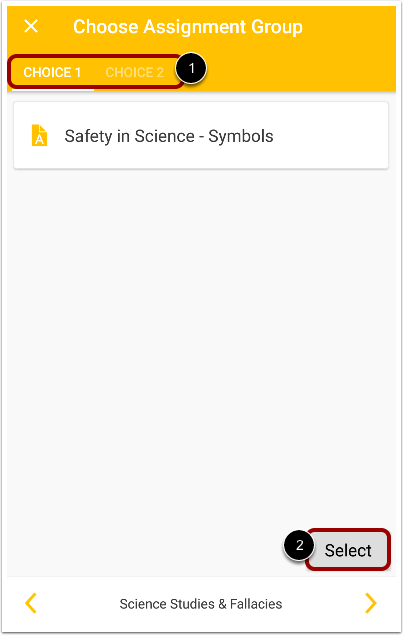 Previous Topic:How do I view grades in the Student app on my Android device? Next Topic:How do I view Pages in the Student app on my Android device? 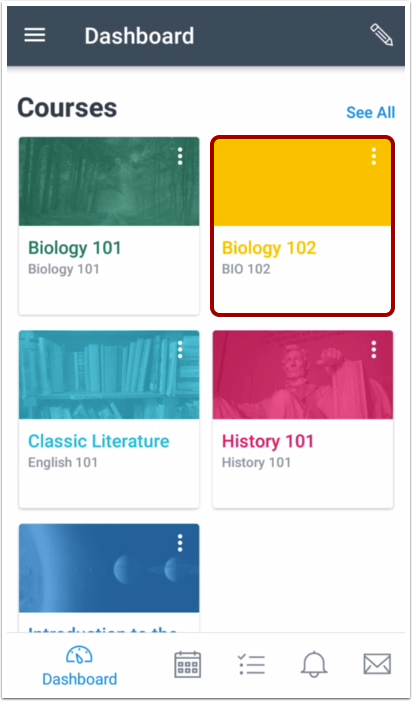 Table of Contents > Course Features > How do I choose an assignment group in a module in the Student app on my Android device?